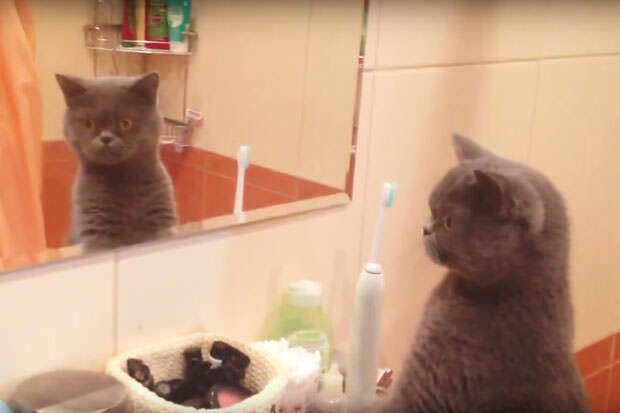 Cats and mirrors are often a silly combination. Felines either cannot comprehend who the other cat is or they simply choose to ignore this piece of human sorcery. Caesar the cat is, however, not your typical cat. The handsome little fella actually enjoys looking at himself in the mirror and we completely understand why: he is unbelievably gorgeous. What makes this particular video so amusing is Caesar’s reaction to his own reflection– he seems absolutely shocked to see just how good-looking he is.